I’m often asked how I manage to get my hair so straight. Well, first of all, it’s naturally quite straight which helps a lot but the real secret is using a great hair straightener. Believe me, they are not all the same. Some straighteners are just… better and other are the next level multi-tasking tools called stylers! 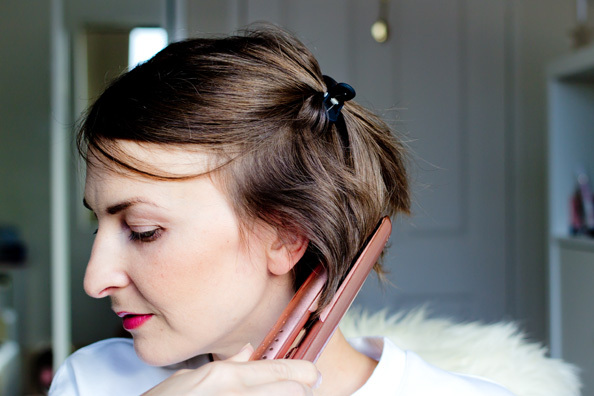 I’ve been using a ghd styler for about 4 years now and it’s amazing in so many ways. 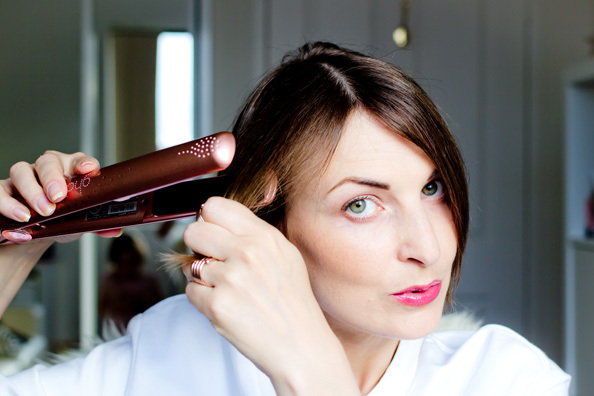 The styler automatically switches off after not being used for 1 minute, it heats up in about 30 seconds and politely lets you know they’re ready with a gentle beep. When I had longer hair, I used to use ghd styler to do beach waves and messy hair looks. It’s just was so easy that even for a person who is always short on time these looks were suddenly feasible. Remember this wavy hair tutorial? So today, I’d like to introduce the new ghd rose gold styler. 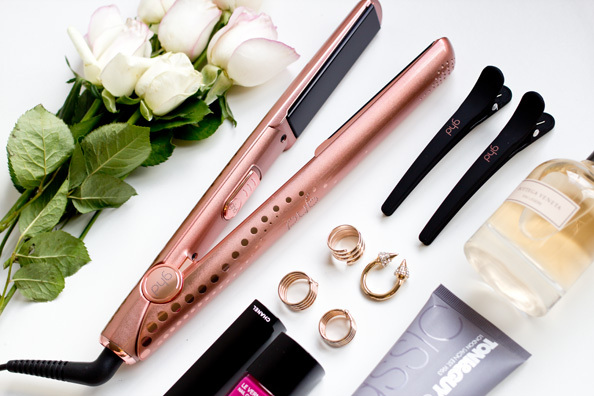 I love all things rose gold at the moment so the colour is just another reason to love this ghd. 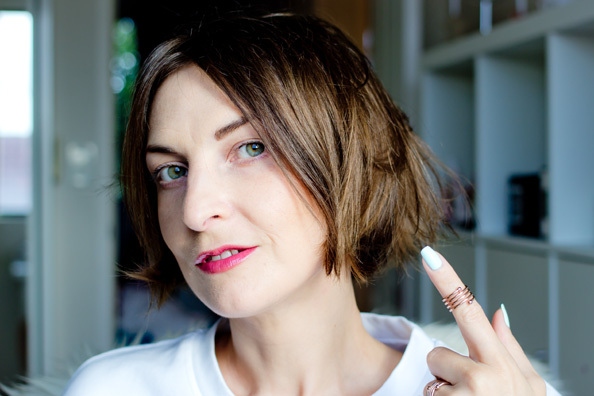 Now, if you have some sort of bob like me, here’s a quick tutorial to help to get perfectly straight hair in less then 5 minutes! 1. So you woke up like this! 2. Now quickly brush your hair and part it. 3. 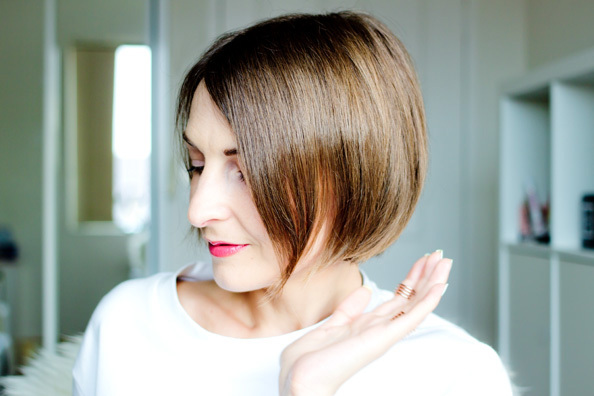 Beginning on one side, grab a little section of your hair near the scalp and run your styler along it with a downward motion keeping it angled inward. This little trick will get rid of flyaways. 4. 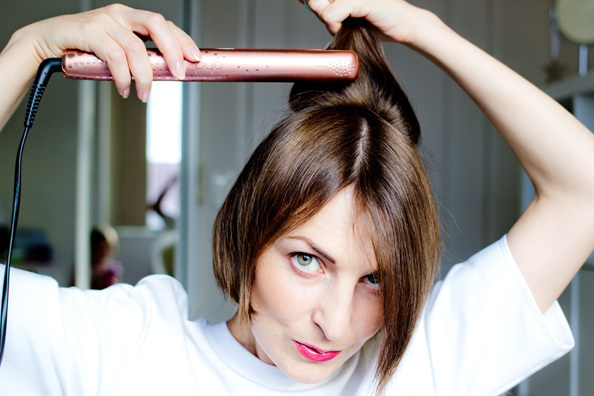 On the other side, grab a little section of your hair and run the styler along it. 5. Repeat at the back your head too. 6. 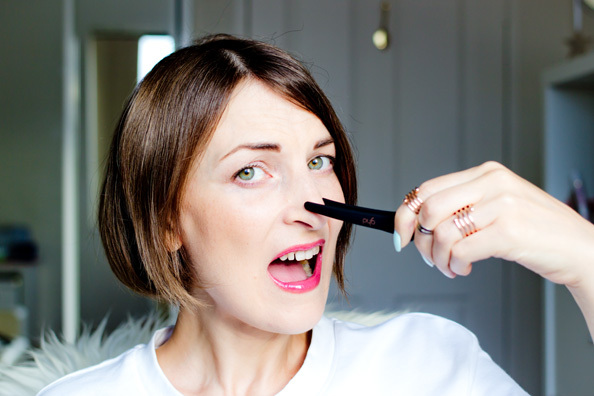 Now, put a hair clip on your nose! Ok, kidding… just making sure you’re reading the post! 7. Ok, here’s what you actually need to do. 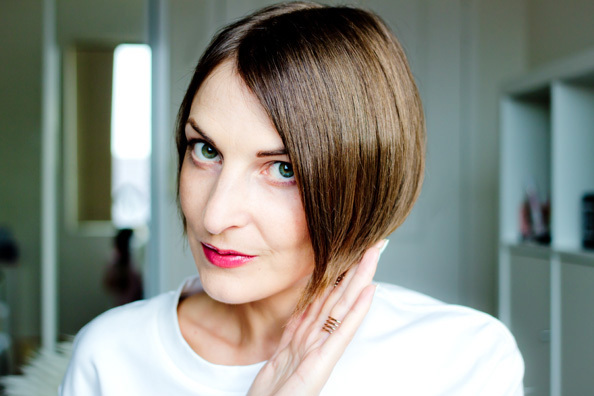 Now that the top of your head looks all nice and straight, lift that section and secure it at the top with hair clips to reach underside of your hair. Grab a section that twists in the wrong direction and re-twist it in the direction you want it to be. Repeat all around. 8. Secure your hair style with hairspray or tiny touch of hair smoothing product. 9. You’re ready to go! 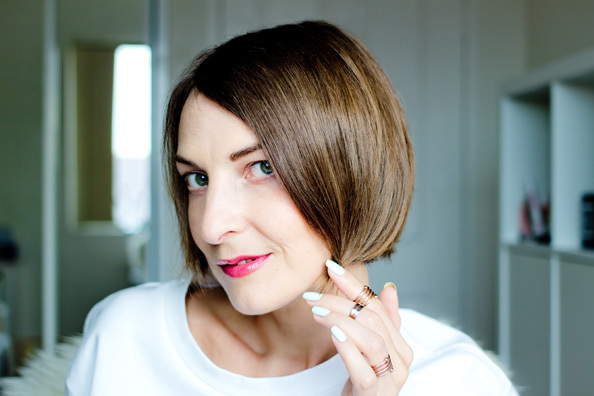 Just a little note, my way of achieving the perfectly straight bob is probably not what a hairdresser would do. It’s a real life girl’s way of getting it straight quickly and without any unnecessary damage. To get the perfectly straight look, you don’t need to spend ages straightening every hair. Just do the ‘important’ sections and enjoy the compliments! 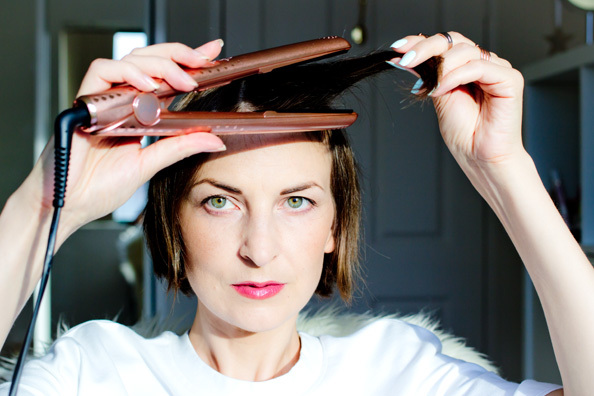 You can get the ghd rose gold styler here, here or as a part of deluxe set – here. Disclosure: the post was sponsored by ghd. Opinions expressed my own. I just really think ghd stylers are awesome. PS. Someone very cute really wanted to say hello! Anastasia was hiding behind me while I was doing my hair and jumped out when I finished :) So here she is! Been having hair problems everyday, you saved me! That’s really helpful tips, thanks. 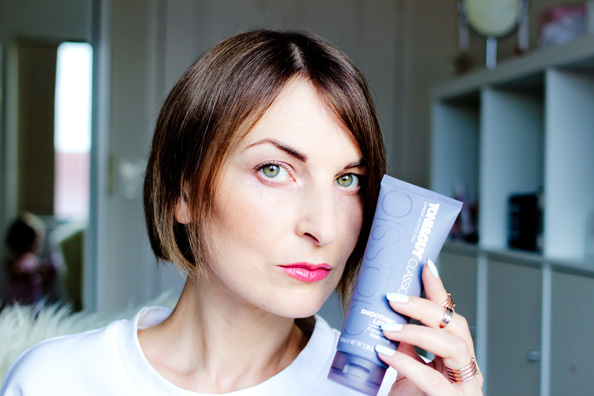 Amazing blog and you are looking awesome. And thank you for sharing with us. I just recently cut my hair short, so I think this is great help for me! 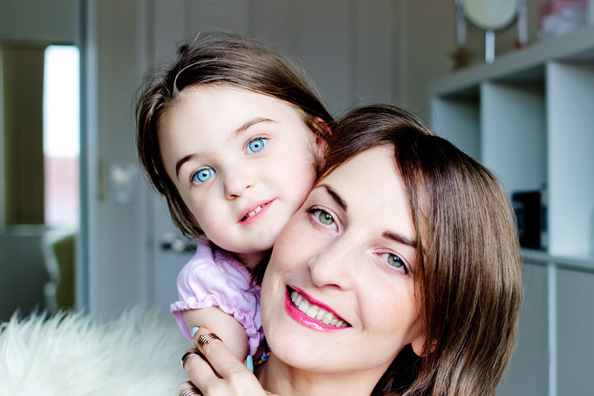 Also, your little girls eyes are gorgeous!! Child’s eyes are so beautiful. Lots of love. 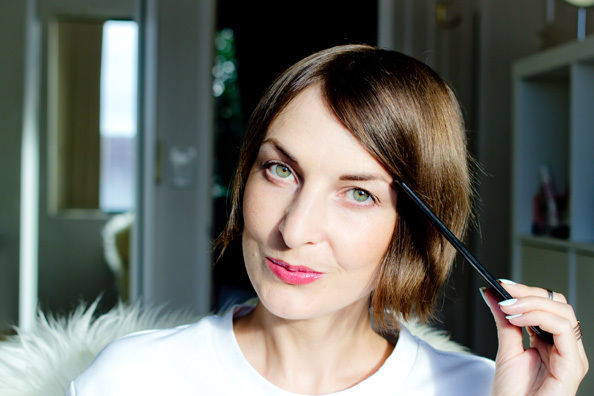 Superb tips for women to straight their hair by yourself within 5 minutes. As I have seen, women are always curious about their hair but sometimes due to lack of intelligence, they don’t get a beautiful hair. A perfect straight hair looks good but it requires lot of time straighting hair perfectly. Thank you so much for providing the useful tip to make it easily and within less time. This step by step guide, plays more effective and women can easily do it. I got impressed about your perfect guide to do it. Thanks for helpful and useful tip.